There are 98 reviews of Very Irrésistible for Men. Wearing Very Irresistible reminds me of those orange flavored and shaped chocolates that you break apart into "slices" to eat. A unique and kinda strange pairing that some people really like. In addition to the citrus and chocolate (mocha/hazelnut) it's also powdery fresh. I was really impressed by this gourmandish scent when I'd first tested it in 2005. Very Irrésistible for Men always struck me as "tasty", in a similar way as A*Men by Thierry Mugler and Escada's Casual Friday were (thanks to the coffee notes that each one shares). 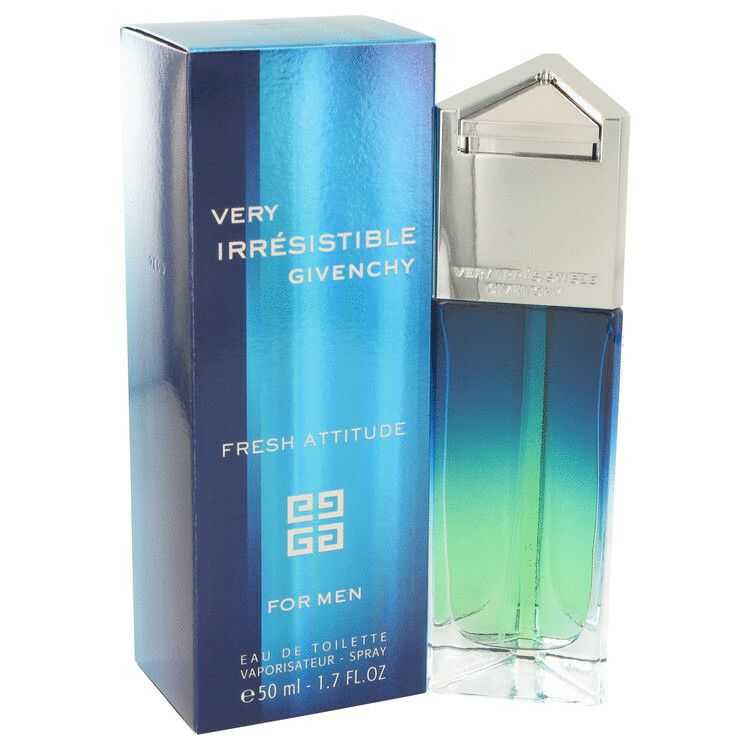 Very Irrésistible for Men belongs in any store counter today, IMO, as it is simply unlike the other Givenchy offerings (which are mostly good). The scent has a very clutching effect on me, with a mellow feel that is fresh and comforting. I also get a perceived chocolate note that adds to the fascination and charm of this fragrance. Sad that this one is no longer offered. Prices for this one online are getting sky high, too! Perhaps a relaunch / reformulation, Givenchy? Delicious is a Good word to describe this GIVENCHY fragrance.I think this name is seemly PI than this one because i dident find a Very Irresistible scent then i would say it is a Nice scent but with a Misleading Name. Enjoyable,Woody,Sweet,Seductive, Masculine,Warm,Comfortable and Earthy. The Scent is kind of warm creamy Mixture of something Sweet and something Woodsy.In fact this Oriental fragrance is with a Fresh start due Grapefruit and an Woodsy finish.The dry down for me is really Pleasant in a Cosy&Comfortable way and totally reminds me a Temperate Rainforest. Anyway This scent is not a big discovery of The GIVENCHY for me because it is not Unique Enough and I prefer Fresh Attitude Than it but This scent is tottaly Cute and Interesting. Ideal for COLD weather and Everyday/Office Use. Perfect for a Short pleasure but Unsuitable to make a Lasting Impression. This is a nice opening, a bit of grapefruit with a small amount of mint - nice. The drydown that follows raises the stakes and is a very well made mix of a lovely hazelnut and woodsy notes. Clearly synthetic but original and well blended - especially the hazel note is very convincing. Take this nigh-gourmand approach with good silage, very good projection and an excellent longevity of seven hours, and I see why this is a winner as a fragrance, in spite of the relatively few notes in this composition, as they are well done. Sometimes less is more indeed. Great for autumn. Nice, unique, strange dry down though. I was fortunate enough to get a great deal on a bottle of Very Irresistible. I am not 100% sure, but it may be discontinued, as I do not see it in department stores, nor do I see it readily available for purchase online too often. The opening is just that.. Hard to resist. It's like a caramel apple. Projection is very good in the opening, but dies down pretty quickly. Once I really get a grasp on what I am smelling, it smells like apple, mint, caramel, and chocolate or mocha. Think sour green apples. Think Ande's mints. Combine the two. Amazing! It's hard to take your nose off of where you sprayed. But you have to stick your nose there, because the projection thins out so quickly. Before ya know it, it turns into this odd smelling base, similar to that in Sean John's Unforgivable. Like some wet dog type smell, paired with a very weak woodsy note, and something else I just can't put my nose on. This all takes effect quickly, as the top and mid don't last long. The base goes on for a good 4 hours or so, thankfully not incredibly long, because it's just not good really. A damn shame, from a very promising opening. Minty hazelnuts with hints of chocolate. Actually a wonderful fragrance. Very unique with a good lasting power (over 8 hours), projection and sillage. Sweet in the right amount. Great scent that deserves at least a try. Thumbs up! Givenchy-Very Irresistible for men...is really irresisitible?